Young tenor, Emil Ławecki, specialized in Mozart repertoire, sings with grace and great text interpretation. 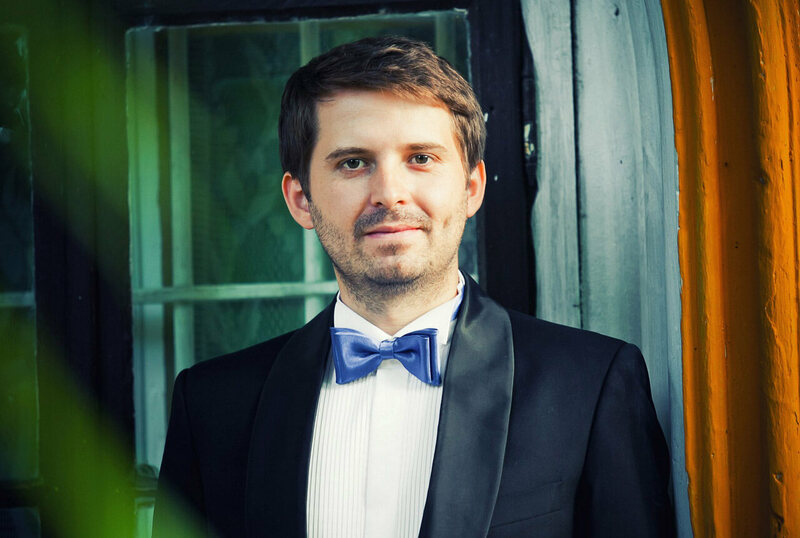 Emil Ławecki, tenor, graduated with distinction from Vocal Department at the Fryderyk Chopin Music University in Warsaw under the tutelage of Professor Ryszard Karczykowski. Since 2014 he was a member of Opera Academy at the Polish National Opera. He is a laureate of the First Prize at the III National Vocal Competition in Mława, and a Prize in the category of the Young Polish Artist awarded by the Polish Brotherhood of Gutenberg’s Knights. Already while studying, Emil Ławecki made his debut on the stage of the Polish National Opera in a student’s production of B. Britten’s A Midsummer Night’s Dream and on the stage of Warsaw Chamber Opera as Don Ottavio in W. A. Mozart’s Don Giovanni. In the year 2016 he debuted at the Grand Theater in Łódź with the part of the Emperor in G. Puccini’s Turandot conducted by Antoni Wit. He also performed as Udolin in The Conspirators by F. Schubert at the Polish National Opera. In the 2016/2017 season Emil Ławecki has appeared next to Edita Gruberova in a concert performance of Norma by V. Bellini singing the part of Flavio at the Polish National Opera, where he also debuted in the part of Tamino in W. A. Mozart’s Die Zauberflöte, and come back as Stach in The Cracovians and the Mountaineers by J. Stefani. Since the 2017/2018 season he is a member of the International Opera Studio at the Komische Oper Berlin singing such parts as Tamino, Triquet in P. Tchaikovsky’s Eugene Onegin or Dancairo in G. Bizet’s Carmen. He is regularly re-invited as Tamino to the Polish National Opera. Emil Ławecki performed in significant music centers in Poland such as National Philharmonic, Gorzów Philharmonic, Philharmonic of Warmia and Mazury, Świętokrzyska Philharmonic, Witold Lutosławski’s Studio of the Polish Radio; as well as abroad in the Czech Republic, Germany, Great Britain or Turkey.